Vectoflow makes customized measurement solutions to determine the state of a flow! 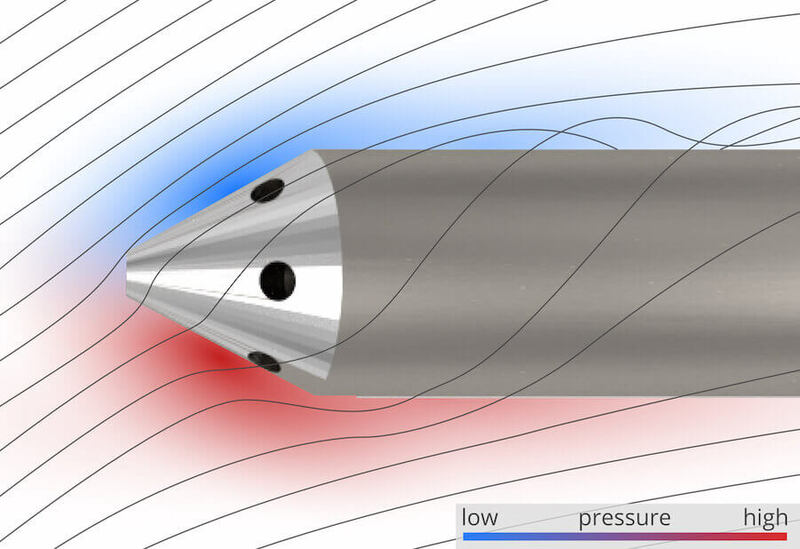 Our customized multi-hole-probes and systems measure the static and total pressure, the velocity and the angle of attack of a flow. Customers in motorsports and racing, the aviation and turbomachinery industries and scientific research alike rely on our products. The probes are easily adaptable in terms of geometry, size and material to your requirements, due to the innovative fabrication method used. 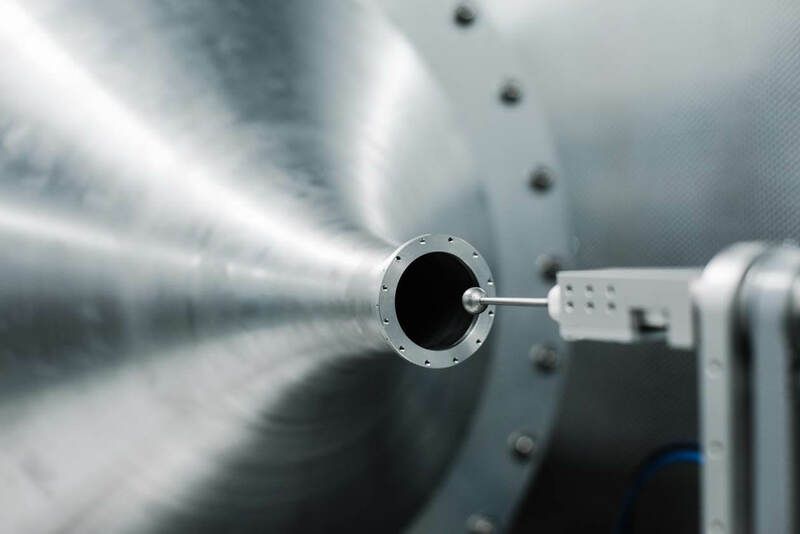 The latter also increases the robustness of the probes significantly, making them usable in harsh environments. We are able to build almost any geometry due to our rapid manufacturing process. Possible materials are titanium, inconel, stainless steel, plastics and more. All of our probes share a one-piece design. Therefore, they are durable and robust even in harsh environments. Our multi-hole-probes integrate well into your existing system. Reference surfaces, connection, and software are adjustable, easy and well documented. Based on Bernoulli's principle it is possible to measure pressure, velocity and the angle of attack of a flow by using Vectoflow probes. For this purpose we look at the pressure distribution at the probe's tip to calculate the other flow parameters. In general: the more holes you have on the tip of your probe, the higher will be the reachable accuracy. Further sensors, e.g. thermocouples, can be integrated into the probe. Our technology will convince you!